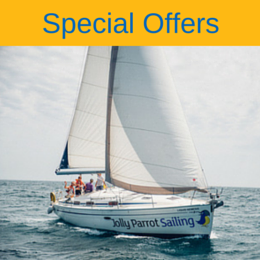 Are you looking to go sailing just for fun without the pressure of achieving a qualification? Or perhaps you already have a qualification and just want to gain some miles and experience but still have fun whilst doing it? If that is the case then this is the course for you! This 5 day, no pressure, fun course is designed for sailors of all abilities to join us and “simply sail”. Fun is what sailing is all about, which can be forgotten under the pressure of structured sailing and qualification courses, however with simply sailing you can sit back relax and enjoy the sailing in a stress free environment. How sailing should be! Our instructors will take your abilities and goals into account to tailor the week. You’ll get the chance to visit different places, build up your sail handling experience at a pace that suits you but most importantly you will have fun whilst doing it. Our simply sailing/ Milebuilding courses are often run in tandem with our RYA courses so you will have ample opportunity to meet like minded people and get as much or as little involved in the structured teaching as you want. This course is available to all levels. 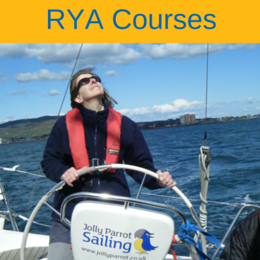 Having consolidated your knowledge in addition to learning new skills you will be perfectly prepared to take your next course or even to confidently take command of your own charter yacht for a family holiday.Whatever level you're at, we have a range of RYA Sailing Courses to suit.